Pacifism is a belief that violence, even in self-defence, is unjustifiable under any conditions and that negotiation is preferable to war as a means of solving disputes. In the First World War pacifists became known as conscientious objectors. 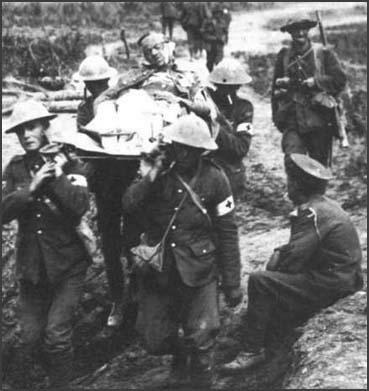 Some pacifists refused to fight but about 7,000 were willing to help the country by working in non-combat roles such as medical orderlies, stretcher-bearers, ambulance drivers, cooks or labourers. This included Kingsley Martin, Stanley Spencer, E. M. Forster, Frederick Pethick-Lawrence and Christopher Nevinson. Some pacifists, known as absolute conscientious objectors, rejected any involvement in the war. People who fell into this category included Clifford Allen, Fenner Brockway, Bertrand Russell, and E. D. Morel. Some absolutists such as Allen and Brockway formed the pressure group, the No-Conscription Fellowship (NCF). Non-combatant duties in the British Army. The No-Conscription Fellowship mounted a vigorous campaign against the punishment and imprisonment of conscientious objectors. 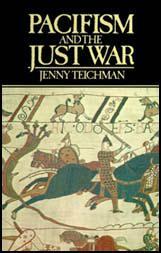 By the end of the war, 16,000 appeared before Military Service Tribunals. Over 4,500 went sent to do work of national importance such as farming. However, 6,000 were handed over to the army, and then sentenced to severe penalties for disobeying orders. These included 35 who were sentenced to death (afterwards commuted), and many others who spent up to three years in prison on repeated sentences. Conditions were very hard for conscientious objectors, and ten of them died in prison; more than sixty died afterwards as a result of the way they had been treated. A plaque to commemorate them hangs in the offices of the pacifist organisation the Peace Pledge Union. After the passing of the Military Service Act in 1916, the No-Conscription Fellowship mounted a vigorous campaign against the punishment and imprisonment of conscientious objectors. By the end of the war, 8,608 appeared before Military Tribunals. Over 4,500 went sent to do work of national importance such as farming. However, 528 were sentenced to severe penalties. This included 17 who were sentenced to death (afterwards commuted), 142 to life imprisonment, three to 50 years' imprisonment, four to 40 years and 57 to 25 years. Conditions were made very hard for the conscientious objectors and sixty-nine of them died in prison. the two European wars. 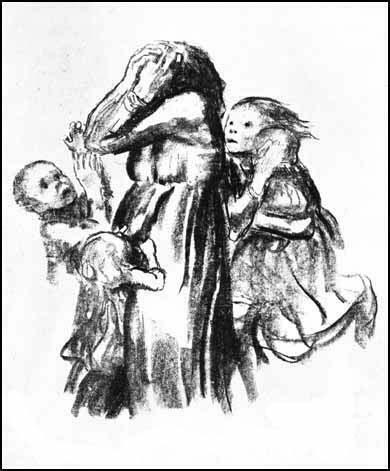 Kollwitz produced Killed in Action in 1921. In April 1939 Neville Chamberlain announced a return to conscription. However, lessons had been learned from the First World War. Tribunals were set up to deal with claims for exemption on conscience grounds, but this time there were no military representatives acting as prosecutors. Most importantly, this time the Tribunals were willing to grant absolute exemption. Over the next six years a total of 59,192 people in Britain registered as Conscientious Objectors (COs). In 1940, with the British government expecting a German invasion at any time, public opinion turned against Conscientious Objectors. Over 70 city councils dismissed COs who were working for them. In some places of employment workers refused to work alongside COs. In other cases, employers sacked all those registered as pacifists. During the Vietnam War the United States had to introduce conscription and between 1963 and 1973 over 9,000 men were prosecuted for refusing to be drafted into the US Army. Some young men burnt their draft cards in public while others left the country rather than serve in the war. (1) Bertrand Russell was a pacifist who campaigned against the war. On 15th August, 1914, he sent a letter to the magazine The Nation. A month ago Europe was a peaceful group of nations: if an Englishman killed a German, he was hanged. Now, if an Englishman kills a German, or if a German kills an Englishman, he is a patriot. We scan the newspapers with greedy eyes for news of slaughter, and rejoice when we read of innocent young men, blindly obedient to the world of command, mown down in thousands by the machine-gun of Liege. Those who saw the London crowds, during the nights leading up to the Declaration of War saw a whole population, hitherto peaceable and humane, precipitated in a few days days down the steep slope to primitive barbarism, letting loose, in a moment, the instincts of hatred and blood lust against which the whole fabric of society has been raised. (2) Clifford Allen was the founder of the Non-Conscription Fellowship. He was conscripted in 1916 but when he refused to serve he was sent to prison. While in prison Clifford Allen developed tuberculosis of the spine, which eventually resulted in his death. Allen made the following statement at his Military Tribunal. We are all young men, and life is a precious thing to such men. We cherish life because of the opportunities for adventure and achievement which it offers to a man who is young. They say our country is in danger. Of course it is, but whose fault is that? It will be in danger in fifty years time, if our rulers know they can always win our support by hoisting danger signals. They will never heed our condemnation of their foreign policy if they can always depend upon our support in time of war. There is one interference with individual judgement that no state in the world has any sanction to enforce - that is, to tamper with the unfettered free right of everyman to decide for himself the issue of life and death. (3) Fenner Brockway was sent to prison in 1916 for refusing to be conscripted. He was one of the most popular speakers at public meetings organised by pacifists during the First World War. Every individual gives loyalty to something which counts more than anything else in life. In most men and women this supreme allegiance is inspired by national patriotism; if their Government becomes involved in a war it is a matter of course they will support it. The socialist conscientious objector has a group loyalty which is as powerful to him as the loyalty of the patriot for his nation. His group is composed of workers of all lands, the dispossessed, the victims of the present economic system, whether in peace or war. 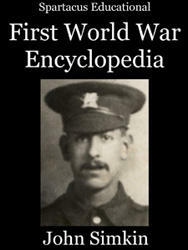 (4) Kingsley Martin and his school friend, Tom Applebee, both refused to join the British Army when called-up in 1916. He eventually became a medical orderly on the Western Front. We agreed it was no good calling yourself a Christian, promising to return good for evil and love your enemies, if you took part in a vast horror of lies, hatred, and slaughter. I appeared before a tribunal while I was still at school. This had an unpleasant side. I was turned out of the study which I shared with other prefects, and the boys would hit me on one cheek and ask whether I would offer the other. This mild persecution rather flattered my vanity. I wrote a defence in the school magazine, which was refused because it was thought to reflect badly on the school's reputation. It was passed round, and some of the older boys read it and treated me with a kind of deference. One simple-minded athlete looked at me with genuine contempt. Since then I have often asked myself whether he was right, whether the men who became C.Os. were really those who were, consciously or subconsciously, more afraid of a bayonet in their guts than other people. Analysis might show that C.Os. had more than the usual repulsion from pain and death. But the matter was more complicated than that. The demand for courage came in France, not in England, where the herd, and particularly one's womanfolk, usually made it difficult to refuse a uniform. For my part, my predominant fear was that I might miss the war. No doubt I was glad that I was less likely to be killed than other people, but though I was in many ways a coward I have no memory of being frightened of death. Physical courage scarcely enters the question when one is eighteen. (5) In his autobiography, Fate Has Been Kind, Frederick Pethick-Lawrence explained why he refused to be conscripted into the British Army. It was not until the middle of 1918 that my age group came within the Conscription Act and I was called up. I was then 46. Believing as I did that the war could and should be brought to an end by a negotiated peace, I could not very well go out to fight for Mr. Lloyd-George's 'knock-out blow'. I accordingly went before a tribunal in Dorking as a conscientious objector. The Clerk to the Council told the tribunal that he knew I had held my views for a considerable time, and the military representative said that he did not particularly 'want this man'. So I was awarded exemption, conditional on my doing work of national importance, and work on the land was indicated. (6) After her brother Raymond Postgate was sent to prison for refusing to be conscripted into the British Army, Margaret Postgate became actively involved in the Peace Movement. It is almost literally true that when I walked away from the Oxford court-room I walked into a new world, a world of doubters and protesters, and into a new war - this time against the ruling classes and the government which represented them, and with the working classes, the Trade Unionists, the Irish rebels of Easter Week, and all those who resisted their governments or other governments which held them down. I found in a few months the whole lot which Henry Nevinson used to call "the stage-army of the Good" - the ILP, the Union of Democratic Control, the Fellowship of Reconciliation, the Daily Herald League, the National Council of Civil Liberties - and, above all, the Guild Socialists and the Fabian, later the Labour Research Department. This world crisis should be utilized for the creation of an international government to secure without war, those high ends which they now gallantly seek to obtain upon the battlefield. With such a creed can the pacifists of today be accused of selfishness when they urge upon the United States no isolation, not indifference to moral issues and to the fate of liberty and democracy, but a strenuous endeavor to lead all nations of the earth into an organized international life worthy of civilized men. (10) Jessica Mitford developed pacifist views during her youth. She explained why in her autobiography, Hons and Rebels (1960). Major storms were brewing beyond the confines of the fortress. Unemployment was rising alarmingly throughout England. Hunger marches, at first small demonstrations, later involving populations of whole areas, were reported in the papers. Police and strikers fought in the streets from London to Birmingham, from Glasgow to Leeds. Great population centres were designated "distressed areas" by the Government - which meant areas where there was no prospect of improvement in the employment situation. The Family Means Test, under which the dole could be denied any unemployed worker whose relatives still held jobs, was the subject of violent protest by the Communists, who gradually succeeded in swinging most of the labour movement into the fight. The younger generation was highly political. They accused the elder statesmen of the Allied countries of sowing the seeds of a new and more horrible world war through the Versailles Treaty, the systematic crushing of Germany, the demands made on the defeated enemy for impossible war reparations. Old concepts of patriotism, flag-waving, jingoism were under violent attack by the younger writers. The creed of pacifism, born of a determination to escape the horrors of a new world war, swept the youth. I responded, like many another of my generation, by becoming first a convinced pacifist, then quickly graduating to socialist ideas. I felt as though I had suddenly stumbled on the solution to a vast puzzle which I had been clumsily trying to solve for years. Like many another suddenly confronted for the first time with a rational explanation of society, I was bursting with excitement about it. I longed to meet some flesh-and-blood exponents of this new philosophy. 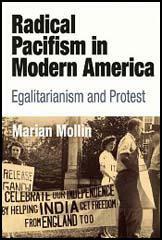 (11) Edna St. Vincent Millay, a pacifist, was active in the campaign in the United States against the war. She wrote Conscientious Objector in 1931.